A friend of mine from high school passed this one on to me, along with the hint that KARVT is a new company that he is starting. 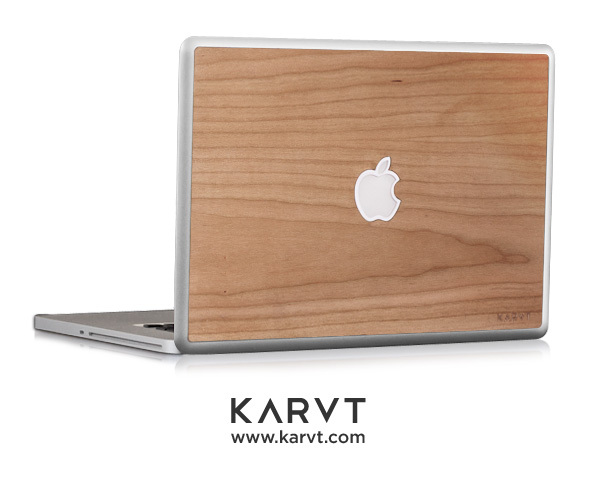 Looks like the site is selling authentic wooden skins for all sizes of recent macbooks and macbook pros, with many choices from an original line – as well as an artist series that offers custom designs. It even seems that other artists have the ability to submit custom designs to be reviewed and possibly added to the line. Original designs go for $35, and artist designs for $50. Not sure about you folks, but I know I will be ordering mine soon.